Day & Night Reptile Bulb Combo Pack | Zoo Med Laboratories, Inc. 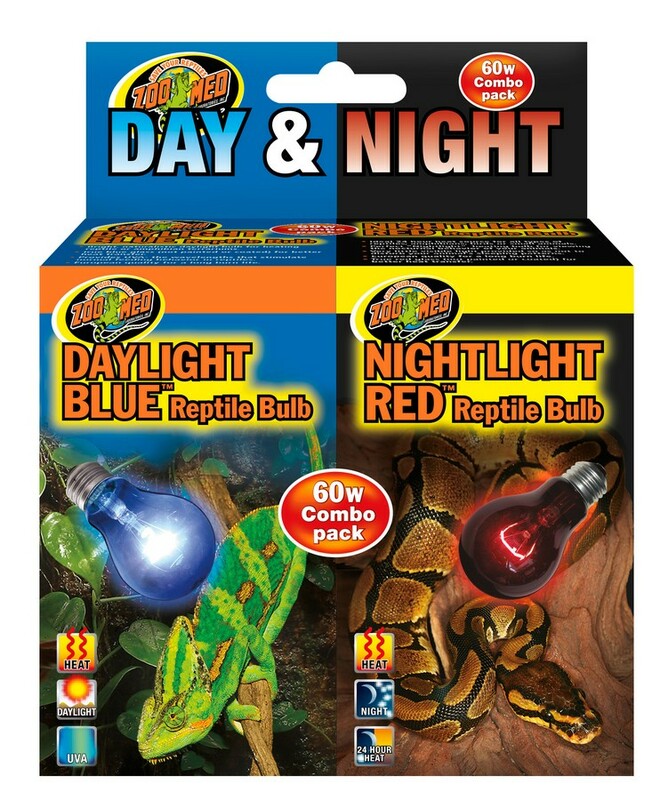 The Day & Night Reptile Bulb Combo Pack includes 60 watt bulbs of our popular Daylight Blue and Nightlight Red Reptile Bulbs. 60 Watt Daylight Blue™ bulb for heating reptile or amphibian terrariums. Un-coated Blue Glass for better heat transfer. 60 Watt Nightlight Red™ Bulb. True red glass 24 hour heat lamp.